SNS2NV Navy Snap-Front Uniform Shirt-Nomex® IIIA-4.5 oz. 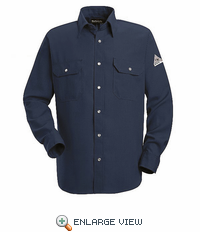 Home > Shop by Category > Accessories > Flame Resistant Fabric Types > NOMEX® IIIA > NOMEX® IIIA Shirts > SNS2NV Navy Snap-Front Uniform Shirt-Nomex® IIIA-4.5 oz. 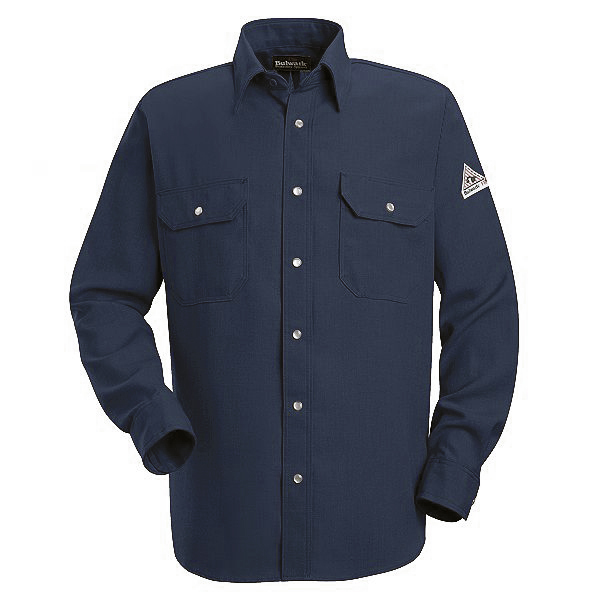 Home > Bulwark > NOMEX® IIIA > NOMEX® IIIA Shirts > SNS2NV Navy Snap-Front Uniform Shirt-Nomex® IIIA-4.5 oz. SNS2NV Navy Blue Snap-Front Uniform Shirt-Nomex® IIIA-4.5 oz. SNS2TN Tan Snap-Front Uniform Shirt-Nomex® IIIA-4.5 oz. SNS2RB Royal Blue Snap-Front Uniform Shirt-Nomex® IIIA-4.5 oz.